Noelia Arteaga is the Sports Editor for The Woodside Paw Print. This is her second year in journalism. She edits and manages the sports stories by staff writers. 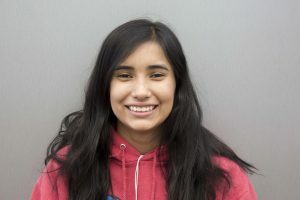 Despite being the sports editor, Noelia is passionate about writing about controversial topics. She enjoys investigative journalism and getting to the bottom of things.